Carphone Warehouse reports from the Blackberry KEY2 launch party. A fancy night for a special phone. 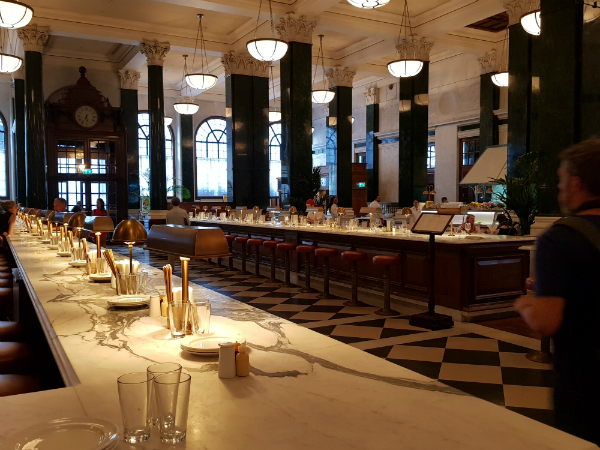 We’ve just arrived back from the swanky BlackBerry KEY2 launch party, held at The Ned, a super fancy hotel/restaurant/private members’ club hybrid that used to be a bank. According to BlackBerry’s UK Country Manager, Jonathan Young, Blackberry chose this venue because of how the old bank vault that still sits in the belly of The Ned is all about security. Just like the KEY2. According to Blackberry, the KEY2 is the most secure Android phone ever. With private browsers, serious encryption and even a privacy shade that darkens your screen to anyone looking at an angle, the KEY2 isn't messing around when it comes to protecting your data. And that’s not all. Thanks to the Locker Private Zone app, you can hide things like photos and apps that are private, so you don't have to worry about friends accidentally swiping the wrong way through your gallery. But let's jump back to the beginning of the night, shall we? We started by getting a lanyard, each with a number that would be used later on for a prize draw. Then we were guided through to the appropriately named tapestry room. There was a live band, gin and prosecco cocktails and the world's tiniest canapes. All very fancy so far. Against one wall of the room was a display section, where we were treated to a demo of the KEY2. Although a physical keyboard might seem a little out of place in a world of giant touchscreens, the KEY2 does have a distinctive look that isn’t going to get mistaken for any other smartphone. The keys have been made 20% larger than the previous KeyOne, with a matt finish, so it’s easy to type – and it feels pretty natural. There's an undeniable satisfaction to using actual keys to type out a message. And because you can program the keys to act as shortcuts, you're not just restricted to typing. All you have to do is press the new speed key (the one with nine dots on) as well as the letter you’ve assigned the short cut to. Then you can jump straight from BBM (remember that?) to composing an email without only two key presses. Easy. We then heard from Steven Sherwood (BlackBerry’s marketing manager), who revealed the new ad campaign. Most of it focuses on the battery life. And not for nothing. Two days of in-use battery is pretty incredible in a world of smartphones where you’re lucky to get through a work day. Imagine not having to charge your phone every night. Or forgetting your charger before a weekend away and not going into a mad panic. It’s nice, right? And in a room filled with bloggers, Blackberry fans, industry people and the odd famous person, it's no surprise that this all went down very well. And of course, because the UK is the first country to have the KEY2 available, there were dozens of people in the room using it to take pictures. It is the first Blackberry to have a secondary lens on its main camera after all. The final event of the night was that giveaway based on the numbers on our lanyards. 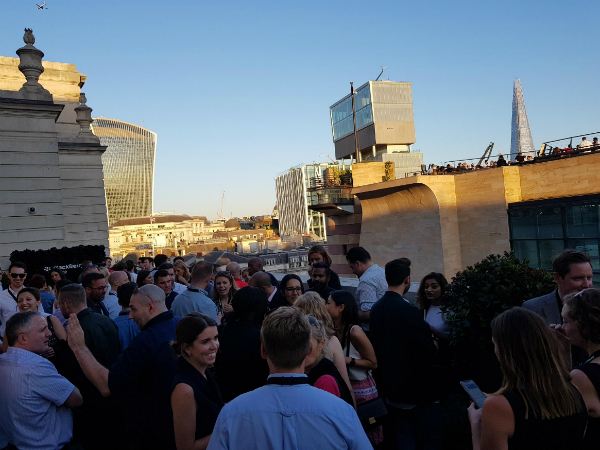 A fair few KEY2s were given out, and then we were all back to cocktails and canapes, except this time on a beautiful terrace overlooking St Paul’s. All in all, a great night celebrating a great phone (oh, and by the way, we didn’t win. Never mind). Buy the stunning Key2 right here.